The cameras featured on this list are all waterproof, shockproof and freezeproof which makes them ideal for underwater and travel photography. They’re also our highest scoring tough digital cameras so you can be assured that you’re purchasing a good camera that’s perfect for your next trip. As well as the list below, there are a few new tough cameras that have recently been announced. As of yet, we’ve not reviewed them so they’re not featured in the top ten but we thought you might want to check them out. More information on these can be found at the end of the top ten. 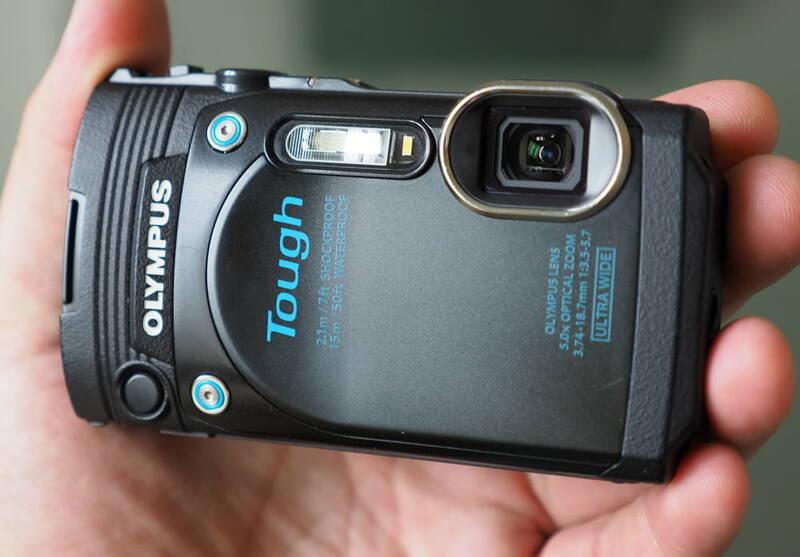 The Olympus Stylus Tough TG-860 features a tilting selfie screen, plus a front shutter release button, and a side tripod socket. It’s waterproof down to 15 metres, shockproof from 2.1 metres, as well as featuring an ultra wide-angle 5x optical zoom lens.